This morning User Voice founder Mark Johnson gave evidence to the Joint Select Committee on Draft Voting Eligibility (Prisoners) Bill. Also giving evidence to the Committee were Juliet Lyon, Director of The Prison Reform Trust and Rachel Halford, Acting Director of Women in Prison. One of the things discussed by Mark during the Committee meeting was User Voice's work in setting up Prison Councils in several prisons across the country, which you can read more about here. 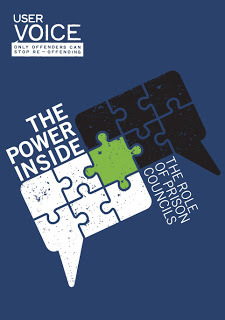 In 2011 we published a report on the setting up of a Prison Council at HMP Isle of Wight called 'The Power Inside - The Role of Prison Councils', which you can read here. You can also read a summary of the 'Power Inside' report here. This describes how Council members at HMP Isle of Wight were given training by market research company So What?, to enable them to undertake a survey of prisoners on their attitudes to voting. Around 560 prisoners completed the survey, which revealed that just 35% of those eligible voted in the 2005 general election. However, 66% of respondents said that they intended to vote in the next national elections (if able to do so). Significantly, when split into those that engaged in the Prison Council process and those that didn't, the former group was roughly 50% more likely to want to vote in the next national elections.